Ibrahim khalil-Allah (Abraham, the Friend of God), is a highly illustrative motion picture based on the holy Islamic scriptures portraying various events and occurrences in the later years of the saintly and extraordinary life of Ibrahim (Abraham). The film skilfully goes to great lengths in effectively recreating the great trials and tribulations Ibrahim had to face when delivering the Divine message of Islamic Monotheism (Tawhid) to his community as well as highlighting the sheer faith and obedience he possessed to the Will of God, the Almighty. And as a result of Ibrahims unwavering determination in whatever God planned for him, he was elevated to the status of a divinely ordained leader (Imam) for all nations and his actions have been eternally inscribed in the religion of Islam for Muslims all over the world to emulate and follow in his blessed footsteps. 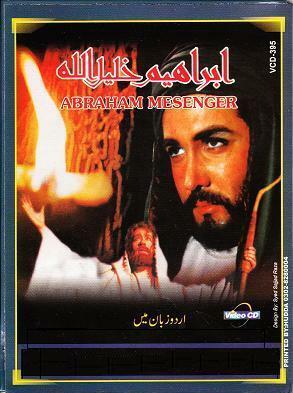 The movie "Abraham, the Friend of God" has been presented and subtitled by Al-Mausumeen.com & Ahlulbayt TV. Watch & Download this movie in HD. For more islamic Movies join the BLOG!